"Beauty boys" gets their inspiration from drag queen make-up and modern fashion trends. 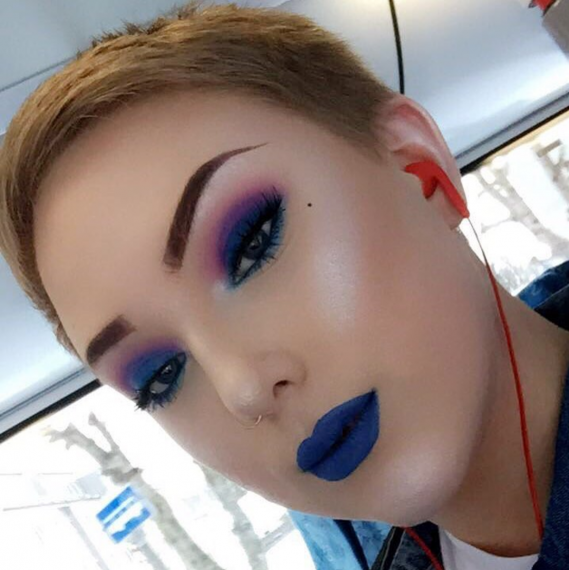 The main difference between drag and beauty boys is that beauty boys do not present as women, and they use regular make-up, not the theatre type. You would have to ask them if they believe they fit under the broad transgender umbrella or not. Some of them do, others not. Others argue that this is another example of the beauty business becoming more acceptive of androgyny.